I don’t think it will be an overstatement to say that the Indian IT industry has become the biggest source of decent paying white collar jobs for India’s vast army of engineers. It was the biggest gateway to Indian middle class people who could manage an engineering education, as engineers could easily get jobs in Infosys, TCS, HCL, Wipro and other IT companies in India. However, the demand from the IT industry is reducing due to increased automation and reduction in the topline growth of the major IT companies. The new SMAC (Social, Mobile and Analytics) has meant that the companies are looking for experienced hires with specialist skill sets. Also improved automation technologies such as the use of Artificial Intelligence is reducing the number of engineers per project. 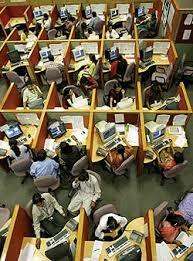 The companies are trying to scale up their topline, without a commiserate increase in the number of employees. This is a double whammy for the Indian engineers passing out of colleges and looking for a decent career. Not only is the demand reducing but the supply continues to be extremely high. It is estimated that almost 1,500,000 engineers are passing out of engineering colleges every year, while the demand from the IT comapnies has now reduced to barely 15% of the total passouts. The other industrial sectors do not have the job creation capacity as compared to the IT industry. The increasing supply also means that the IT companies are paying bare minimum wages to these engineers (in the range of INR 2-3 lakhs a year). This is bare subsistence salary for people in India looking to have a decent lifestyle. The thing to note is that entry salaries have barely budged from 10 years ago, though inflation in India ranges between 5-10%. The low salaries of the fresh hires is also now putting pressure on the middle management in these companies, as the salaries become quite disparate. As these hires gain more experience, it makes sense for the companies to keep even the mid management salaries low. Fresh engineering graduates, who are finding it increasingly tough to land a job in India’s $160-billion IT industry with each passing year due to lower levels of hiring, may have to deal with another disappointment this year — their starting salaries are unlikely to see a spike anytime in the near future and will largely remain stagnant at their decade-old levels. According to human resources heads of top companies such as TCS, Infosys,BSE 1.50 % and Wipro, as well as several recruiter ..